Microsoft are right to be concerned about the fact that their customers uses perhaps only 20% of the capabilities of their products and their bold move – to radically change the UI – was definitely needed. I have found myself making great use of the new formatting capabilities in Excel 2007 for example and I never realised that anything like this was possible in Excel 2003. 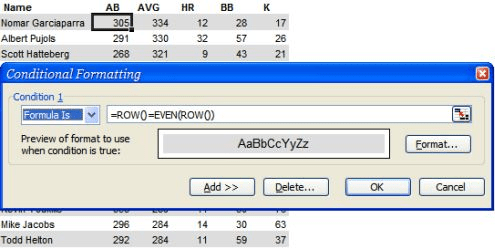 So even though I am amazed and impressed by the conditional formatting tricks in this post on the juice analytics blog I know that without the ease of use that Excel 2007 provides, I would rarely have the time to use them and if I did I would forget how to use them anyway. That said I have written this post so that if I do need to create a really professional spreadsheet in the future that will see a lot of reuse, and therefore that’s worth putting a lot of effort into, at least I will be able to remember and find the tricks again.